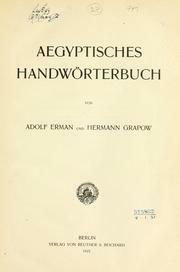 1 edition of Aegyptisches handwörterbuch found in the catalog. Add another edition? 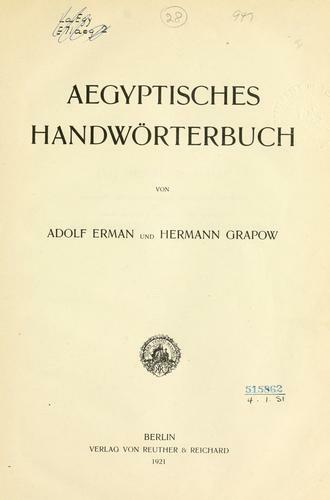 Are you sure you want to remove Aegyptisches handwörterbuch from your list? 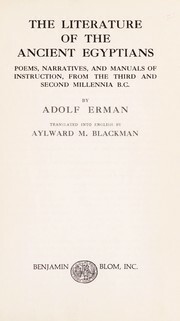 Published 1921 by Reuther & Reichard in Berlin . January 29, 2010 Edited by 83.206.210.181 Edited without comment. September 8, 2008 Created by ImportBot Initial record created, from aegyptischeshand00ermauoft MARC record.